With more than 22 years of experience in research and IT and a PhD from IIT Kanpur, Ashutosh Misra has worked with large IT companies, handling several responsibilities in the insurance, financial services IT domain including advanced analytics, big data, application development, project and program management, architecture consulting, and more. 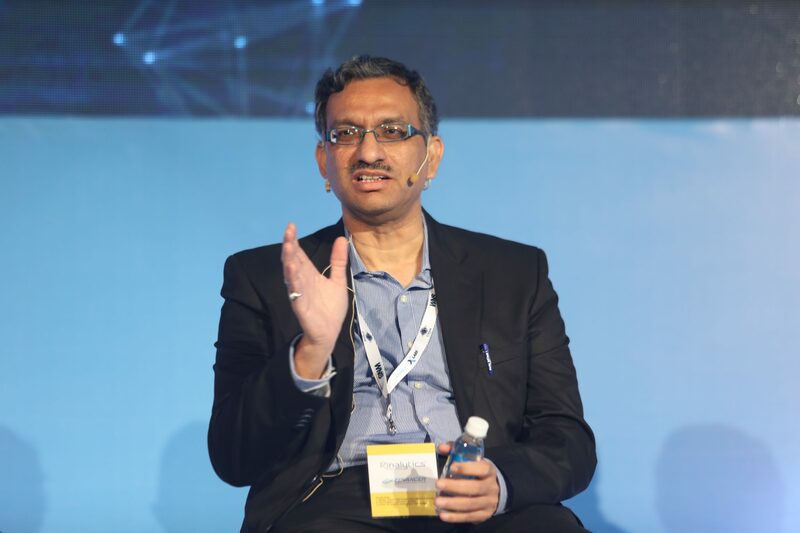 Analytics India Magazine caught up with Misra, Director of Advanced Analytics & Big Data at Philips Lighting, who has served as an advisor to various Fortune 500 customers on data and analytics consulting projects. He shared his insights on his analytics journey, use of big data and analytics at Philips Lighting, challenges in the industry and much more. Analytics India Magazine: How has been your journey in the analytics industry and what are some of the analytic solutions that you have worked on? Ashutosh Misra: I have been in data organisation since the beginning of the field. Data is a key tool, and I started working with business analytics and slowly over a period of time I started looking into technologies and business functions attached to it. Post this I gradually moved into pure advanced analytics. The initial years were with large multinational firms, where I worked for around 18 years before moving into my current role. My initial days were all about learning and I invested my time heavily into understanding databases, data structures, Science of Cybernetics, then moving to Data Warehouses, creating reports, generating insights and list goes on. From there on I ended up working on some of the most complex projects. Then I became advisor to a lot of C-level executives on various data needs, BI, and business/advanced analytics platforms. This is the time when I introduced a framework for business analytics. The simple framework lists out four factors necessary for a successful team to carry out analytics projects. The four tenants are: Data (quality etc), Domain Knowledge, Platform (tools etc) and mathematical and statistical modelling. Currently, we are working on developing a lot of value driven analytical solutions to increase efficiency and productivity of the organisation and some of them are very confidential in nature, around enablement services like supply chain, finance insurance, HR and IT. We have published couple of papers in IEEE proceedings to list out the use of complex algorithms and how to come up with insights. AIM: How have you seen the evolution of the industry? As you said that you have been here from the beginning, how has the growth been? AM: From analytics perspective, I would say that we are still just scratching the surface. Lack of good use cases (other than in Sales and marketing) has been the biggest show stoppers. Analytics today is in a state where it can be utilised in any domain and can provide small to large value. Lack of right skills, not only from technology perspective, but there is a scarcity of people who understand the domain and can cross pollinate with data. Lot of people with whom I interact, still think that modelling is analytics and that is not true. In my interactions I have always said that we are at the beginning of what I would call the ‘wave’ of analytics. In the next 2-3 years probably, the wave will be at its peak, particularly with respect to analytics in a lot of areas. NLP, AI and use of ensembles of algorithms is going to drive analytics. IT will become a natural part of Robotics, Blockchain (analytics), etc. Also, by that time all the bubbles that are floating around analytics will also burst. AIM: How is Philips Lighting utilising advanced analytics and big data? AM: We are a big innovation company on data fronts—first one is the enablement front which includes supply chain, finance, sales and marketing and other functions, whereas IoT is the second, where we look at the complete connected lighting and connected functions. These are the two areas where we are doing a lot of investment in terms of advanced analytics and big data, and are also seeing good results. AIM: Would you like to highlight a few use cases where analytics has benefitted the organisation tremendously? AM: There are two areas primarily where we have seen the benefits—supply chain and connected parts. When you are looking at supply chain, you start with demand, manufacturing, logistics, customer support and that is where we are looking at blockchain and analytics association. The first part is particularly with respect to demand sensing and forecasting. The second one is with respect to logistics. This includes network optimisation, container optimisation, palette optimisation and a whole lot of logistics where in real time the use beacons. There is a huge potential and there will be more in the future. When we talk about IoT, it is more about connected technologies—such as connected lighting. Today it is more focused on product development, but we see it moving towards improving the customer experience. AIM: What are the key changes that you have brought into the analytics domain at Philips Lighting? AM: My team was the pioneer in starting analytics application within the enablement functions. We built up the team (including the partner ecosystem) and it has now grown to substantial numbers, we have already deployed a few used cases and can observe the difference we have created so far. We are continuously looking at value driven data analytics and how the organisation can benefit from the same. From a change perspective, for the first time within the organisation business groups have stated using data and predictive analytics and can see the value it brings in. The initial questions such as “what will data do? “have now changed to “how can you help me with this business challenge?”. More collaboration and complex problems are getting into our funnel. This collaboration with business is what I consider as a big win for us in a short interval of time. AIM: Philips Lighting has introduced a ‘Social Impact Analysis’ app. Can you please tell us more about it? AM: In simple terms, when you talk about social impact analysis it is about how we make a change in the society utilising light. That is where we collect a lot of data and is again connected to the first part where we said connected lighting. Lot of information on this is available here. AIM: Is Philips Lighting also using technologies like artificial intelligence and machine learning? AM: Oh yes, absolutely! The projects that I talked about definitely use machine learning and artificial intelligence. We are at a stage where certain projects have reached maturity (deployed) whereas a couple of them are still in pilot. Some examples are usage of machine learning in forecasting demand, new product introduction and funnel prediction. AI is in pilot but will be more driven towards customer experience. AM: In our group particularly, which is based out of Bengaluru, we have now about 50+ people. Whereas globally there are other groups working on various aspects of analytics and the number is much higher. AIM: What have been the most significant challenges that you have faced at the forefront of analytics? AM: One part that everyone looks at is data, but taking out business insight from data is a challenge. On the enablement front, understanding the confluence of domain and data is a challenge. Whereas in IoT, it’s about collection of huge data, its quality, applying analytics and being careful about the sensitive privacy attached to a customer. The biggest challenge for analytics today is the time taken to collect data and seeing the benefits is too huge. Other than that adoption becomes a big challenge, which is always there. AIM: Do you also feel that the right kind of talent is a challenge in the industry? AM: I would say that “good talent” is a challenge. As I mentioned earlier, people are not clear on what analytics is all about. Everyone claims themselves to be a data scientist or wants to become one, but there is a lot of confusion about the definition itself. They don’t want to invest time in learning the domain and cross pollinate it with data. Our learning institutions don’t have industry data and trainers who can bring in that kind of perspective. Analytics is very specific and things can change very fast. Hence a wider outlook on identification of problems and influencing parameters is a must. As I like to say, analytics is a lot like astrology- only the best astrologer can predict with some confidence about the future and will stand true. At Philips Lighting, we as a company invest a lot in young talent. The idea is to identify them at a very younger age either through campuses or even outside, such as through discussions and hackathons. We feel that particularly in analytics, it takes 2-3 years before a person can mature and start producing results, therefore we hire them early and train them. We also do lateral hiring but that is very specific. AIM: What are the skill sets that you specifically look for while hiring them at an initial stage? AM: Self motivation and self-drive are two key skills that we look for in the talent we hire. The third one is problem solving and analytical skills. We also look for people who can work on coding languages like R and Python, and skillsets in analytics tools such as SAS. It is mandatory for them to be inclined towards the domain—such as understanding of supply chain, finance, connected technology or IoT. AIM: Would you also like to give some more details about how IoT is being used at Philips Lighting? How has it been progressing? AM: I can share this at an overall level, as certain things are very confidential in this particular area, given the fact that we face competition on a daily basis. When you look at lights, it not just one light now, it is all connected. Let’s say we have a building, and lights are an essential part of its infrastructure. Earlier you would just put an LED bulb and the job was done, but now that has changed. We now monitor these lights remotely and want to create a customer experience. The other aspect is management of power consumption by monitoring data, hence we can now measure that we have been able to reduce the whole power consumption by up to x% through our solutions. So effective management of power and energy efficiency, illumination of space with the right amount of light and enhancing the customer experience will be a few used cases. AIM: What are the major trends you see in the analytics industry? AM: The place where I see the industry moving into effectively is business-driven insights. Sales and marketing have more or less seasoned out with people heading towards more mature use cases now, which will also become more business specific. Companies will start looking at technologies like blockchain, machine learning and artificial intelligence, in particular. But it may take time. I expect that it will take at least another 1-2 years before these technologies are adopted fully. Overall, I see a bright future in analytics.